Christmas may have come and gone, but Rihanna’s Fenty Beauty line is the gift that keeps on giving. The singer knew that the world would be in a food coma and post-holiday slump after the much-anticipated holiday, so she waited until the day afterChristmas to release her latest creation, the Mattemoiselle Plush Matte lipsticks. And now, they’re finally available to shop — so you can still have exciting packages arriving on your doorstep when 2018 arrives. 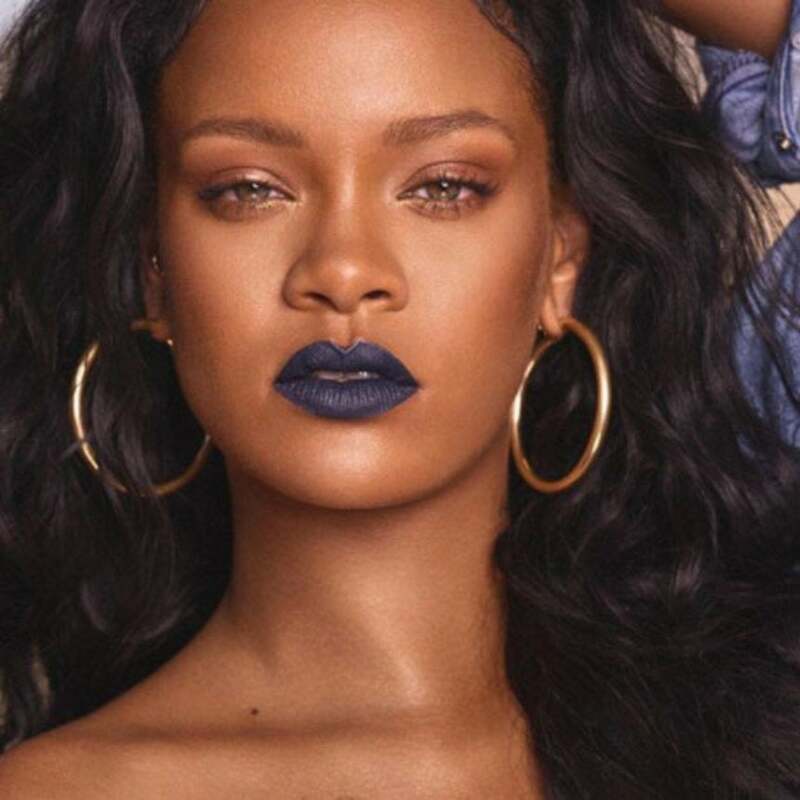 RiRi, who previously only had two lip products (a neutral gloss and a bright red liquid lipstick) in her collection, just released 14 shades of bold matte bullets,in shades ranging lavender to dark brown, and from baby blue to navy. But that’s not all the excitement Rihanna has in store for fans this holiday season. Because the star wants everyone to be able to test out her coveted products, she’s made it possible to try on her highlighter on Facebook. “It’s about time everybody gave #TROPHYWIFE a try. We got the perfect camera effect for y’all to get into that highlight,” the brand Tweeted. All you have to do is add the effect to your Facebook camera on your mobile device and take a selfie in the Fenty frame, which automatically adds a yellow-toned flash of highlight to the tops of your cheekbones. So if you weren’t sure whether or not to make the purchase, now’s your chance.